Home / About Di Biase / Fifty Shades of Brown Hair Extensions! 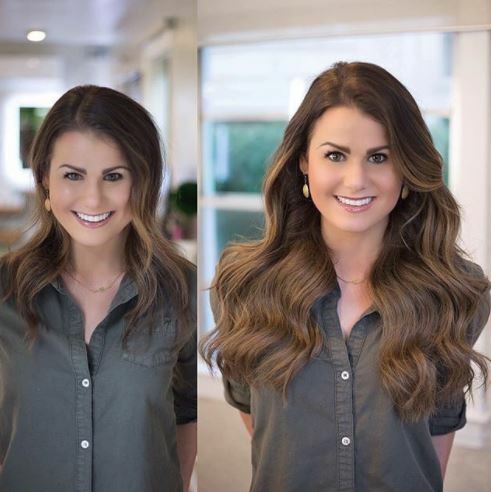 Fifty Shades of Brown Hair Extensions! Need some inspiration for brown hair looks? Looking to change your hair up for the upcoming Spring months? It’s easy to achieve virtually unlimited looks with Di Biase hair! From filling in a patch in your hair, adding fullness and volume to a short cut, adding low lights, the options are limitless. Di Biase offers a variety of brown tones that can be added to almost any type of hair your client has. Check out all of the looks below for fresh inspo! All hair below is done using Di Biase extensions. 2018 Nationwide Di Biase Training Schedule!